IPL Photorejuvenation can treat a variety of benign skin conditions. 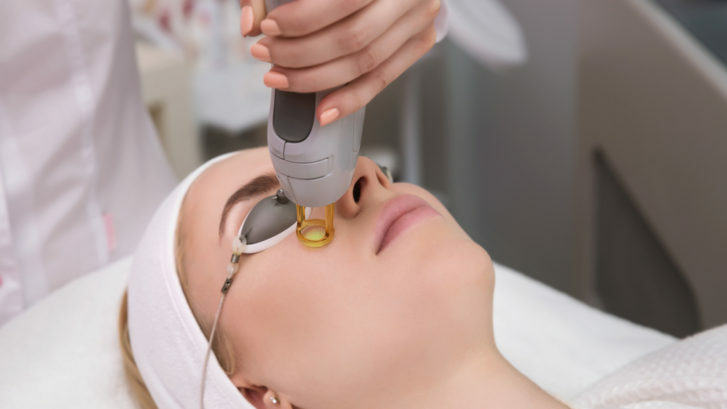 The broad spectrum of light used in IPL Photorejuvenation treatments is absorbed by the target tissue, and is then removed by the body’s natural processes, providing dramatic improvements in the appearance of age spots, sun spots, sun damage, freckles, rosacea and more. IPL Photorejuvenation is a gentle, non-invasive treatment that improves the appearance of photoaged skin, removes age spots, most benign brown pigments and redness caused by broken capillaries. IPL Photorejuvenation can be tailored to your individual condition and skin type, providing superior cosmetic results and high satisfaction. A broad spectrum of light is transmitted with the IPL handpiece through a small, smooth, transparent lightguide which is gently placed over your skin. The light penetrates the tissue and is absorbed by either the blood when treating vascular lesions damaging them. The body’s natural processes then remove the injured tissue giving the skin a more even tone and texture, and a more youthful appearance. IPL Photorejuvenation is performed in our office. First, a cold gel is usually applied to the area to be treated, and you may be given dark glasses or goggles to protect your eyes from the bright light. The pulses of light are applied to your face, and you may feel a slight stinging. Each treatment typically takes about 20 minutes. Treatment is generally administered in a series of four to six sessions, and you will see gradual improvement that yields excellent long-term results with very low risk and very minimal downtime. 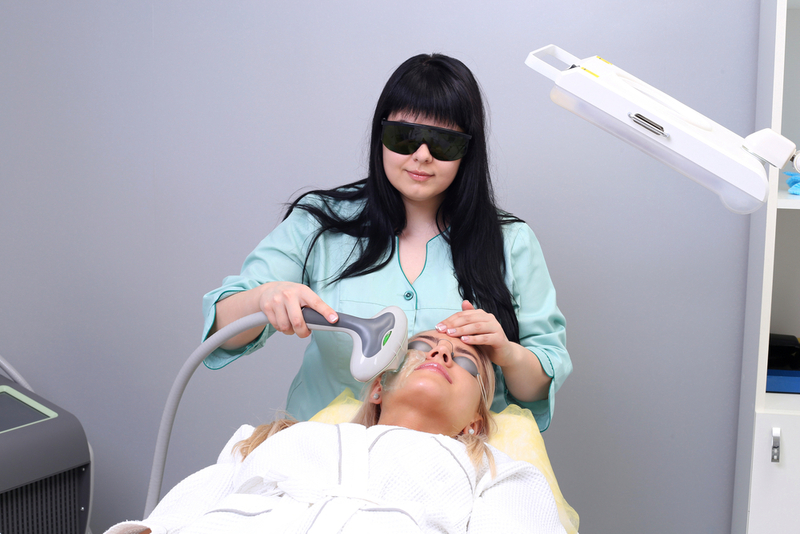 Most people can safely receive an IPL Photorejuvenation treatment. However, always consult with one of our medical professionals to find out if IPL is the right treatment for you.